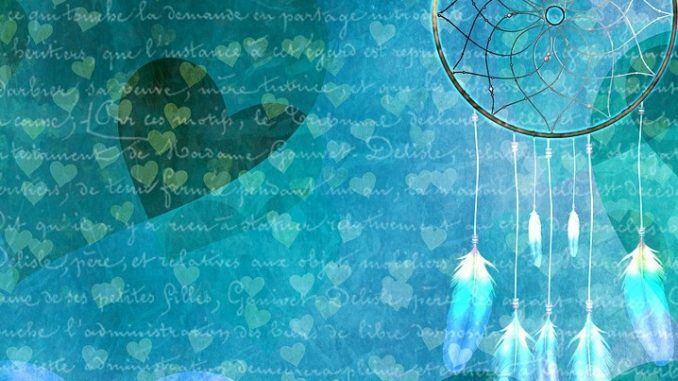 For this spell to work you need to set the dream catcher scented with lavender (oil is recommended for this because of practicality) above your bed for a 2 or 3 days before you start performing the actual spell. On the day you perform this spell, firstly you’ll need to scent your pillow with lavender and carve your name into the white candle. Don’t remove the dream catcher from above your bed. You the need to drink chamomile tea to help you relax and get more in touch with your inner self, while you reflect deeply on what’s troubling you or what you seek to learn about yourself. Try to leave a strong impression of the topic in your mind and to stay in a serene state. Take a small piece of paper and write what you seek on it with the red pen. You can then burn the piece of paper in the white candle, and after it consumes itself, say your name, blow the flame out and go to sleep. You should then have enlightening dreams about what you were trying to figure out or solve that night. All the answers will come from yourself and more often than not in the form of symbolism. For this dream spell to work more efficiently we recommend you keep a dream journal and analyze your own dreams in the context of your life. Your intuition will guide you.